As the UK’s leading specialist for workshop design and storage systems, Systems Store Solutions will be using MACH 2018 (stand H6-256) to highlight the variety of storage systems available from its long-term partner Fami. Visitors to the stand will see examples of the latest storage solutions and witness how System Store Solutions can provide a world-class service encompassing design, supply and installation of standard or modular systems. 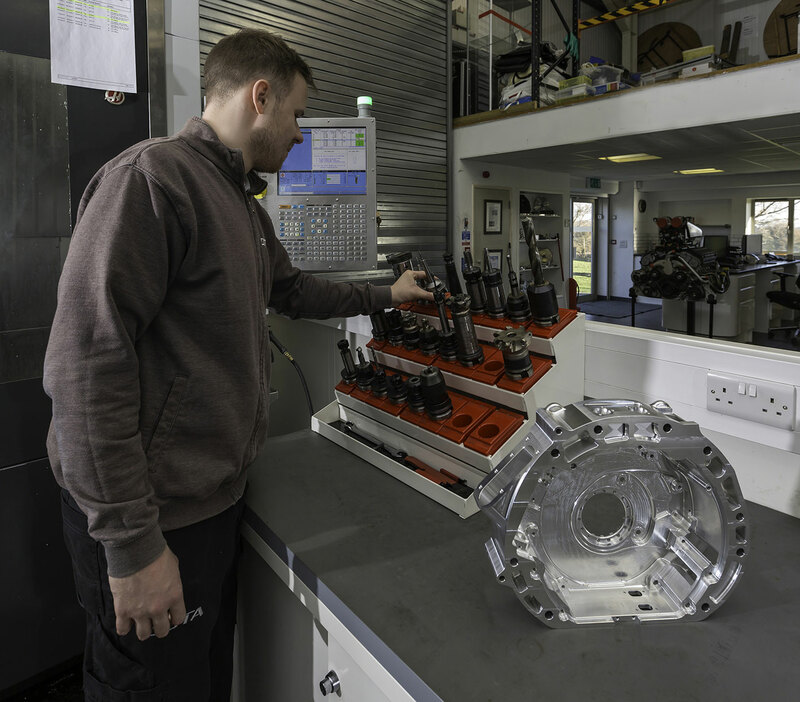 This service is applicable to a wide range of areas, from F1 teams and OEM manufacturers through to sub-contract machining workshops, warehousing and archival/museum customers. “Many people look at storage simply to hide things away, but with the right approach and a well-designed solution storage can be a major factor in improving efficiency. At System Store Solutions we work with customers, large and small, to provide a seamless project from inspiration to installation. Whether that be a complete workshop installation for a formula One team or a small workshop with tool storage and racking,” says David Price, Managing Director, System Store Solutions. The importance of the correct storage solution is now widely recognised within the automotive, aerospace and manufacturing sectors thanks to the impact it can have on productivity through general overall efficiency gains. The phrase “A place for everything and everything in its place” is as true now as it ever was and the ability to quickly locate tools, fixtures and paperwork is the first step in raising manufacturing performance and the positive effect it has on a workforce, who are not wasting time searching for items that should be to-hand. System Store Solutions brings its vast experience to bear when looking at individual company storage requirements to deliver a workshop designed to meet those individual needs. “Organisation and image is key in the sectors that we operate in so to have a consistent look running through the race team and engineering division made perfect sense,” says Ryan Goodger Director, Jota Advanced Engineering.